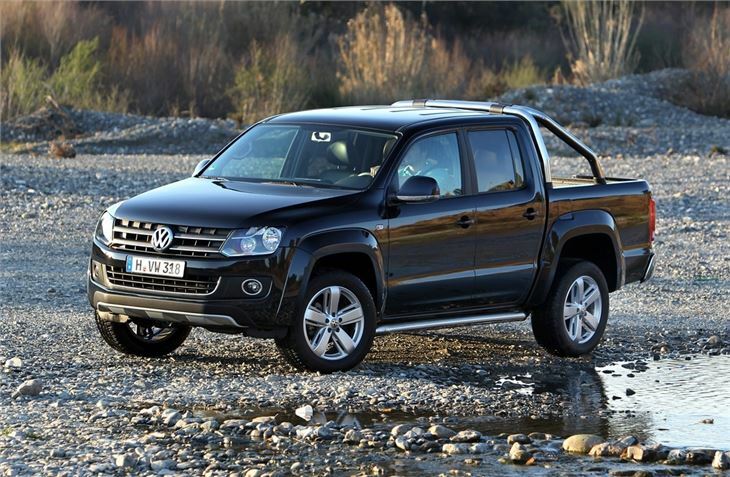 Volkswagen may not be the first name that springs to mind when you think about pick-ups but with such a strong line-up of commercial vehicles including the Transporter and Caddy, it's no surprise the German brand has branched out with its first pick up - the Amarok. It's a market that's dominated by the likes of Toyota and Mitsubishi with owners valuing reliability and robustness highly. So Volkswagen should already have an advantage thanks to its reputation for build quality. 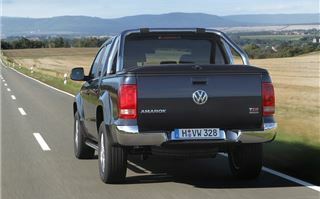 Launched last year, the Amarok is unusual for a pick-up in that it's powered by a 2.0-litre diesel engine - Volkswagen's familiar common rail TDI that's used in a huge variety of models. 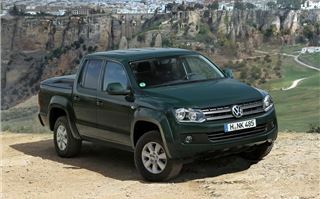 Other pick ups have larger diesels, usually around 2.5-litres that give the required torque, so it's a brave move for Volkswagen. The trick Volkswagen has up its sleeve is to add twin turbochargers. So apart from the entry-level model, the rest of the range gets a BiTDI engine which produces 163PS and 400Nm of torque thanks to the extra turbo. 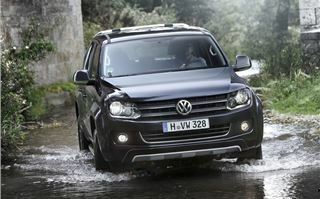 This gives it that much needed grunt but now Volkswagen has gone even one better, launching the Amarok Automatic. This uses the same engine with power boosted to 180PS - not far off hot hatchback territory. The automatic gearbox isn't a Volkswagen DSG unit as you might expect - this couldn't cope with the demands of off-road terrain that the Amarok needs to be capable of dealing with - instead it's fitted with an eight-speed ZF automatic - just like the one that's used in the Jaguar XF and Range Rover, among others. It may seem excessive having eight speeds, especially with a 2.0-litre four-cylinder diesel engine, but it's been designed to be efficient and still responsive. It works well too. It's smooth and the shifts are pretty seamless in everyday driving, making the Amarok relaxed and easy to drive. The first gear is set for off-road use and towing while 8th is an overdrive gear for the motorway. And as there are so many ratios the engine rarely has to work hard, instead it can maximise the 420Nm of torque which peaks at 1750rpm. As a result it's a very quiet pick-up but it's not as good when you push it. It tends to kick down too readily which results in lots of noise and little in the way of performance, only to shift back up again. 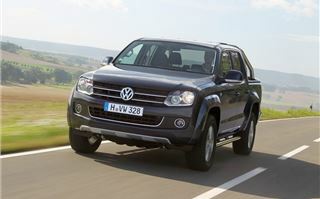 On the plus side the Amarok handles well with responsive steering and the ride is pretty good too, although as with most picks ups it's bouncy when unladen. 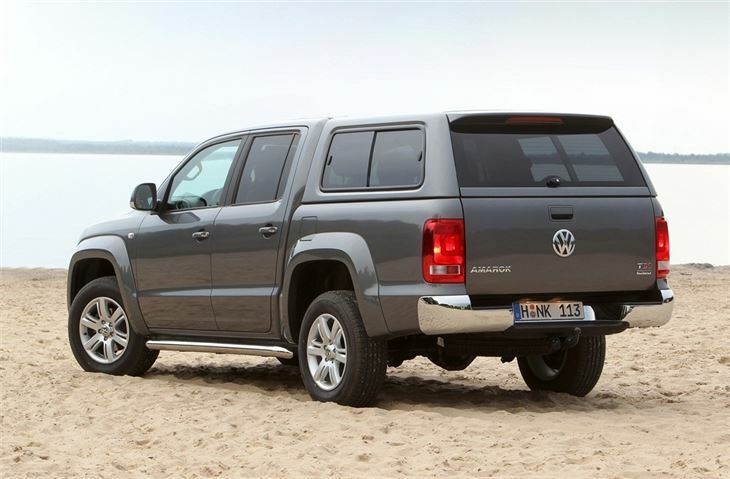 However, it does feel as though the Amarok could do with a larger capacity engine if it's going to cope as a workhorse in a similar way to its rivals like the Toyota Hilux. 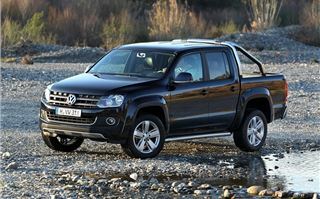 The automatic Amarok comes with an engine stop/start system as part of Volkswagen's fuel-saving BlueMotion Technology. A first for a pick-up and still pretty rare on many automatic passenger cars. It's a fairly unintrusive system and quick to restart too. 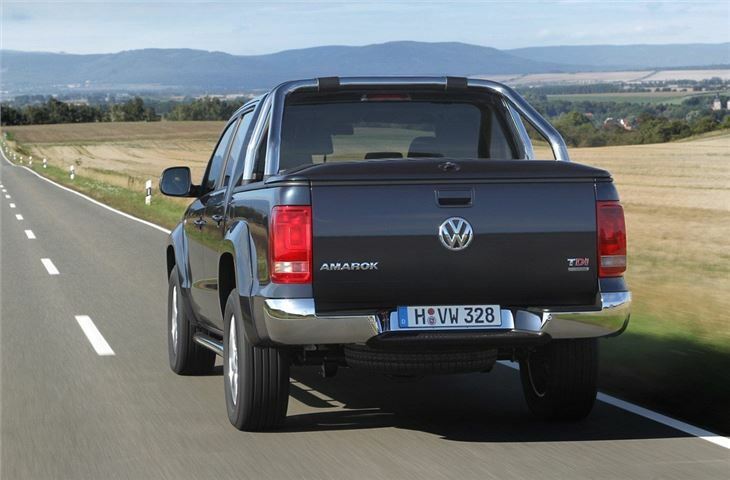 The Amarok also get regenerative braking and low rolling resistance tyres which helps improve fuel economy - it averages a claimed 37.2mpg and emits 199g/km - better figures than the 2.0 BiTDI 163PS Amarok with a manual gearbox. 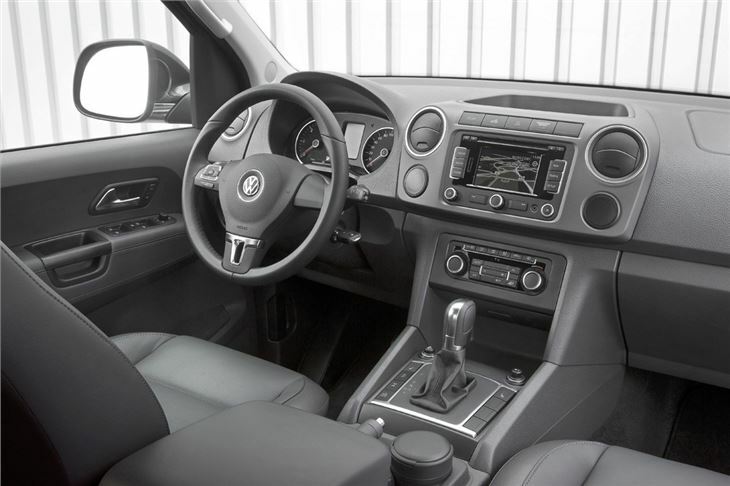 It's impressive inside with an interior that's similar to Volkswagen's car range. It's well finished and upmarket for a pick-up, yet it still feels robust and hard wearing enough to cope with the hard life most pick-ups are subject too. 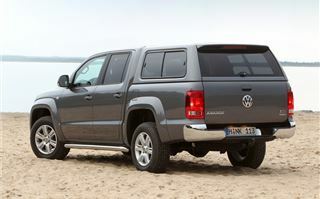 The double cab body has good space in the back with more than enough space for three strapping adults in the back. 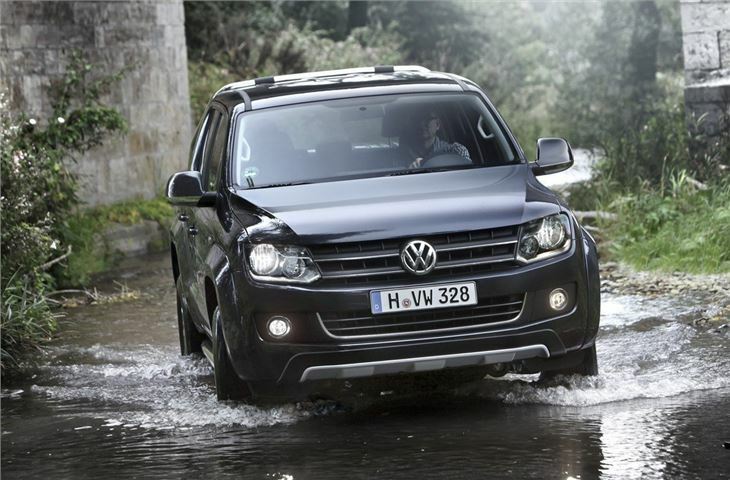 The one big advantage the Amarok has over its rivals is that you can fit a Euro pallet sideways in the load bay which is more than 1.5 metres long and has a capacity of 2.5 square metres. The wide tailgate means easy access for a forklift and the load area is plastic lined as standard too. There are plenty of options available like tonneau covers and a lockable toolbox. 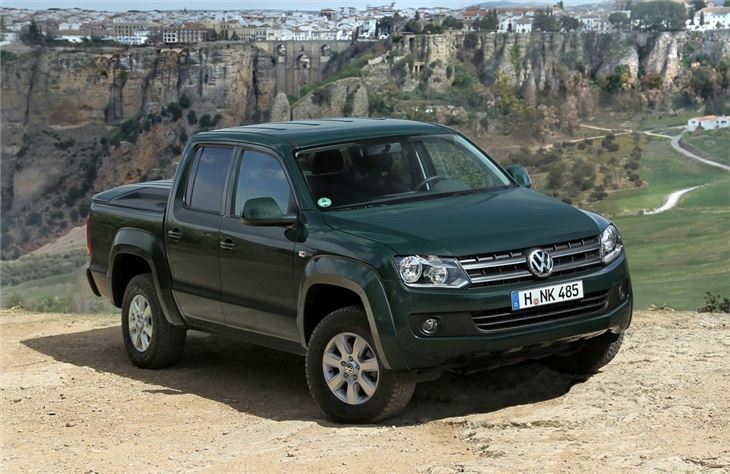 Like the standard Amarok with a manual gearbox, the automatic version is capable off road with a lockable central mechanical differential that automatically acts on all wheels to increase traction by directing power to the wheels with the best grip. There's also an off-road button that includes an automatic hill descent that holds a set speed down even the steepest hills, without the need to put your feet on any pedals. 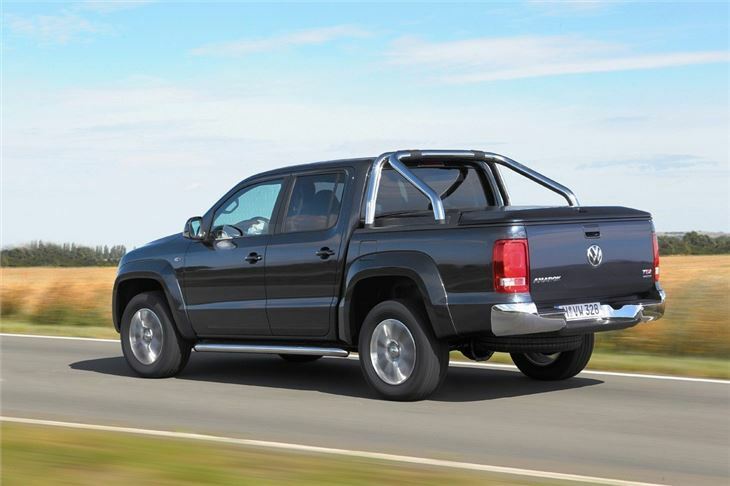 As a good quality and refined pick-up the Amarok Automatic impresses and makes a good tow car too with a braked towing weight of 3200kg.